From where it's made to the science behind its "meh" flavour, airplane food is mysterious. Let's take a look beyond the mushy vegetables and see what really goes into 'high dining'. 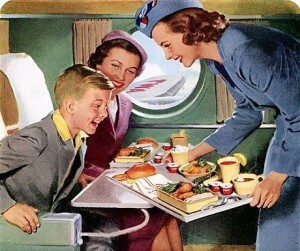 There is an undeniable excitement in the air when the airplane meal service begins. What will this glorified TV dinner bring? Will I get a white bun or whole wheat? Call it boredom, call it what you will, but the blissful moment when the oversized trolley parks in front of you is a sacred one. Airplane food is one of life's most unexplained phenomena. Where does it come from? Where do leftovers go to die? Will it really constipate me? Why am I still plotting how to get a second subpar entrée? 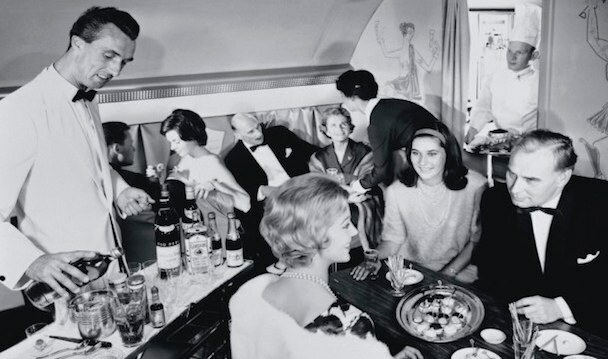 I think it's time we dive into the world of pre-cooked meats and celebrity chefs to uncover some of the myths and facts about what's being dished at 35,000 feet. Why is Airplane Food so "Meh"
Well, as easy as it would be to blame the airlines for their mediocre spaghetti bolognese, the truth is it's actually your fault…kind of. When travelling high in the sky, the cabin humidity drops by approximately 15%. With less humidity in your throat, the transport of smell and taste to the brain slows. 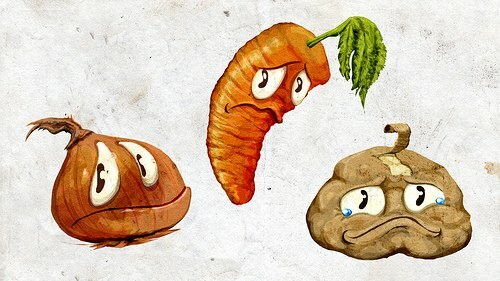 It has been estimated that your sense of smell and taste decrease between 20-50%; the equivalent of having a bad cold. As suggested in a 2010 study by Fraunhofer Institute for Building Physics (paid for by Lufthansa), the average passenger's perception of saltiness and sweetness decreases by 30%. Fact: With this study, Lufthansa hoped to uncover why they were selling 1.7 million litres of tomato juice annually--groundbreaking research. In the name of science, British Airways also set out for answers. They hired Leatherhead Food Research to perform a study with top professional food tasters. Their conclusion: meals taste much more bitter at a heightened altitude. This means that the perfect chicken parmesan will not only taste completely different up in the air, but could require 30% more salt in order to taste equally seasoned. Fact: British Airways and Twinings Tea have designed the perfect 'high' tea. They have created a blend that tastes just right served at high altitude, even when boiled at a lower airplane-friendly 89ºC. The quest to create airplane food that rivals ground-level fare has been an ongoing battle. In addition to testing the science behind taste, many airlines hire world-renowned chefs to develop their high-in-the-sky menus. Once an airline's top chef perfects a dish, the new creation will hit the skies in order to be properly taste-tested. Fact: In order to shortcut menu development and taste-testing, Singapore Airlines even built a kitchen that simulates the low-pressure environment found at cruising altitude. A majority of airplane meals are made by a few major players within the airline catering circle. Gate Gourmet is the world's largest independent airline catering company operating in 28 countries and serving 120 airports. The company prepares more than 250 million meals each year, and services 9700 daily flights. Some of Gate Gourmet's major clients are British Airways, LAN Airlines, American Airlines and Qantas Airways. LSG Sky Chefs is a wholly-owned subsidiary of Lufthansa and is the largest airline catering company in the world; producing 1 million meals daily. LSG partners with more than 300 airlines across the globe and serves in 191 airports. Its newest facility at Frankfurt Airport features a 1.3 kilometre long conveyer belt. Fact: The LSG Frankfurt bakery can bake and load 15,000 dinner rolls in one hour. Other major airline caterers include Chelsea Food Services which is a subsidiary of United Airlines, Servair which is a subsidiary of Air France, and Emirates Flight Catering which (you guessed it) is owned and operated by Emirates and serves up 192 tons of beef annually. As the pattern dictates, the largest producers of airplane meals are owned by the airlines; the major exception is Gate Gourmet who was associated with Swissair until its 2002 bankruptcy. These catering facilities are often located inside or nearby the airport to make for easy storage and distribution. Interestingly, since these airline catering companies cannot be in every airport city, a lot of competitors are forced to buddy-up. For instance, Chelsea Food Services (United Airlines) currently holds contracts with Gate Gourmet and LSG Sky Chefs (Lufthansa). This means that depending on your departure city you could be flying with Emirates and be eating United's grub, or be on a United flight and get served Lufthansa's latest creation. Where Do Leftovers Go to Die? In North America, Australia, and Europe most airlines enforce strict rules about leftover airplane food. Some airlines go so far as to fire any employee who is caught taking food off of the plane. Even more extreme, ground-workers caught with leftover alcohol or cigarettes can be charged with smuggling. Fact: Some regional and national policies require leftover food to be incinerated upon disembarkation--burn those mushy carrots! These rules are especially enforced on international flights in order to comply with a given country's agricultural and border laws. For instance, in America the FDA and USDA are responsible for enforcing these rules. Under more lenient policies, leftovers can be shared amongst airline employees such as mechanics or maintenance personnel, so long as the food never leaves the airport. Generally, leftover airplane food is only allowed to leave an airport when arrangements are in place for it to be donated locally. Like any great contraband, airplane leftovers are turning up illegally. Throughout India, smuggled airplane food and other items are appearing at local markets. These items range from sealed 1-litre bottles of Tropicana to miniature alcohol bottles, all selling for a fraction of market value. These items are reportedly being stolen by employees or taken from airport dumpsters. Fact: At the Indian "Airplane Food" Black Market, 1 litre of Tropicana sells for 32¢ USD (Rs 20). Myth: After some careful research, I found nothing to suggest that airplane food is stuffed with stuff to stuff you up. Moving on. Although airlines such as Etihad and Turkish have introduced "Flying Chef" services on long-haul flights, these services are generally reserved for premium class flyers. These in-air chefs are able to personally tailor dishes, but are limited by the small galley kitchens, lack of stove tops, and the inability to use standard cooking items like knives or frying pans. In other words, even with a chef onboard, foods must still be prepared on the ground and cooked in the same steam pressure oven as everything else--5 Star Mushy Carrot? Haven't our diminished senses been trying to tell the airlines something? Perhaps like oil and vinegar, airplanes and 5-star cuisine just don't mix. Is being served "meh" really so bad? I for one enjoy the mediocracy of plain ol' plane food. Am I alone in this fight? At 35,000 feet, is gourmet even possible? Let us know your best in-flight dining experience, or any other myth-busting airplane food facts. Flightfox is a new breed of corporate travel manager. We combine technology with human expertise to help your team travel better than ever for less. We just refueled the jet (updated the system). Please click here to refresh and continue.